In Vancouver, we get winter, but not winter like other parts of Canada. Our winters typically consist of rain and maybe a day or two of snow that immediately turns into slush. This year has been the opposite of what we're used to. The second week of December it started snowing and it pretty much just stopped. We actually had so much snow (for us) that I had to run around with all the other unprepared moms and buy snow boots, snow pants and mittens for the girls. 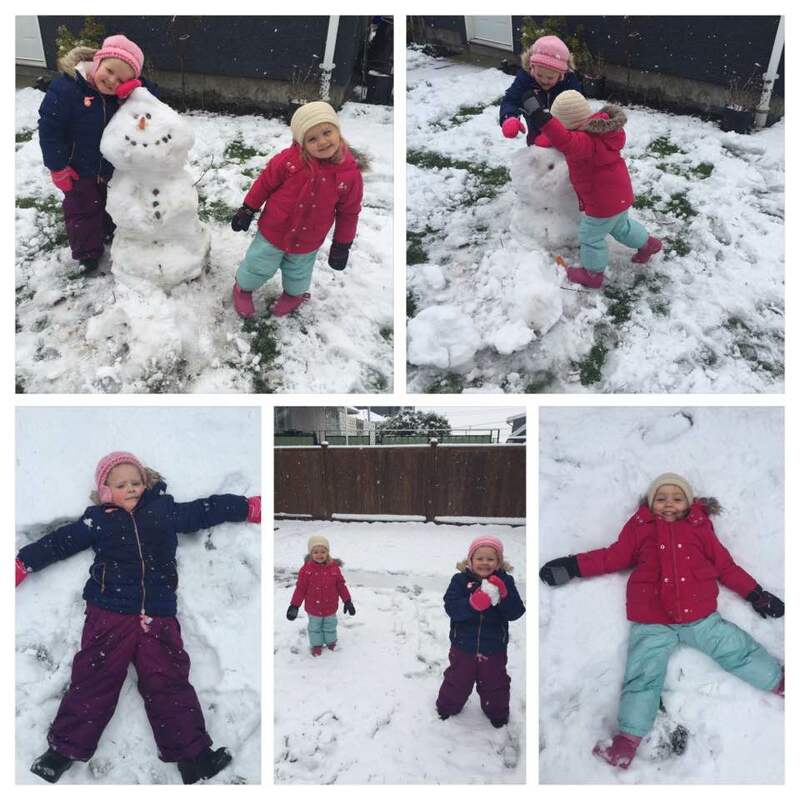 The first day we even had enough to build a snowman. This snowy weather was actually quite fitting for this months Winter Themed Monthly Crafting Book Club activity. 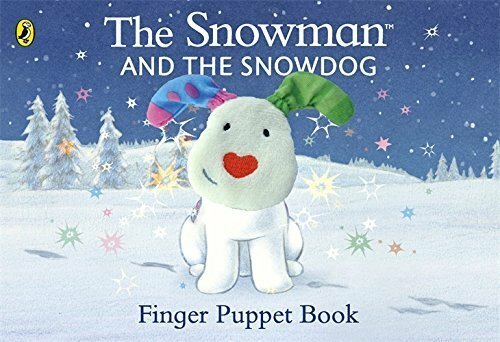 "The Snowman and The Snowdog" by Raymond Briggs. Olivia got this book for her first birthday and it's still a favorite even though she's almost 3 and Lauren is four! The craft we did was painting snowmen and snowdogs with homemade puffy 'snow' paint. Puffy snow paint is so simple to make, and you only need 2 ingredients. 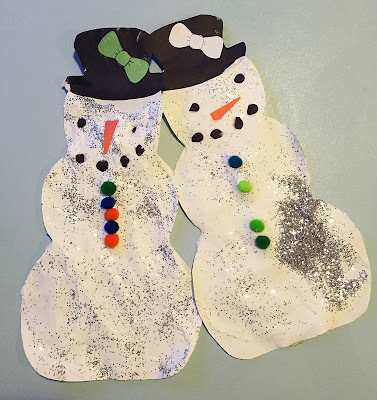 We painted snowmen and snowdogs so below are the supplies and instructions to make the puffy paint and snowmen. Dog cutouts - we used a wiener dog shape! A bow for the hat - my girls request! 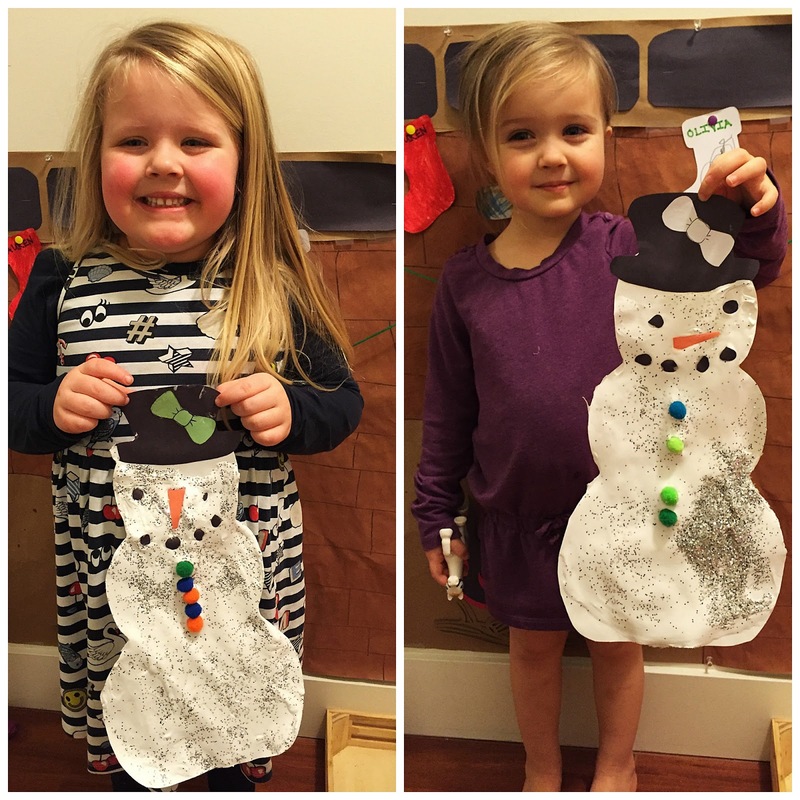 Before painting the snowmen, we glued the top hats and bows on. This bowl was way too small for the amount that we made! to take one picture, so that one was it! I wasn't able to get the best pictures, because while I was taking pictures of the girls doing art, my camera fell off the table and the flash broke. I wanted to get a close up of the snowmen because the paint actually dries puffy and is really soft like snow. And of course when the art is done, it's time to play! My kids would love getting messy and doing that! I should totally try it. You should definitely try it with your kids! My girls love it and are still talking about it! I had no idea you were Canadian too! How long did it take you to get used to winters in Ottawa? My husband is from Quebec and we have lots of friends from Ontario and they all say they'd never be able to handle those East Coast winters after being here! and I'm from Canada too! Born in Vancouver but currently in Ottawa :) A lot more snowy here. I'm laughing over the not really winter comment, because I'm sure my Florida blood would still FREEZE in whatever non-winter you have! This craft (& the artists) is so cute! Thanks for taking a look at my post! Sorry for the late reply! Trust me, my BC blood has been frozen for the last few months! I need some Florida warmth!! 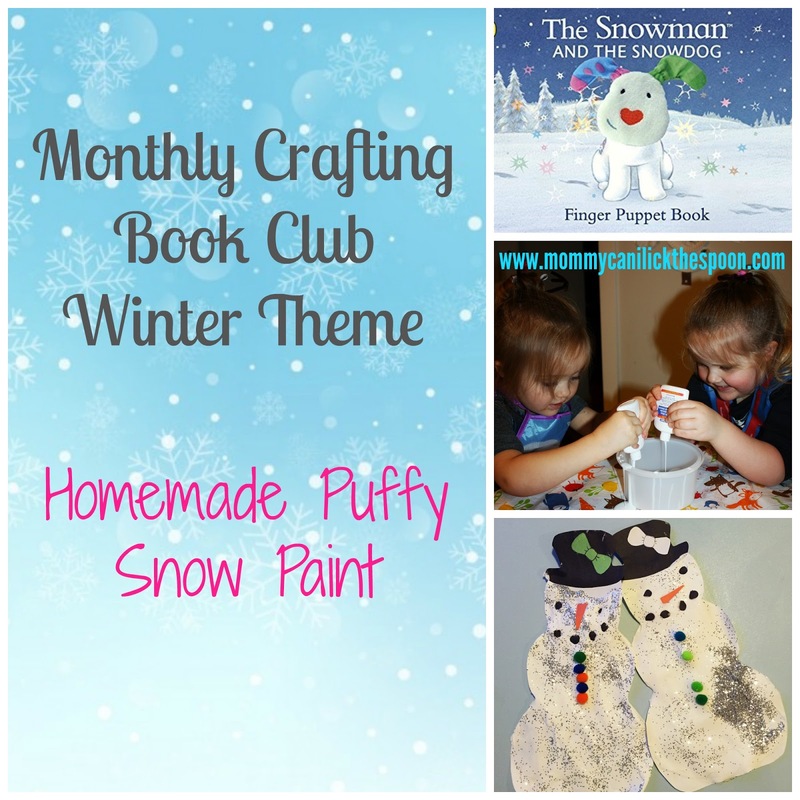 The craft painting is very beautiful with snowmen and snow dogs with homemade puffy 'snow' paint.